The web community has, for the most part, been a spectacularly open place. As such, a lot of the best development techniques happen right out in the open, on blogs and in forums, evolving as they’re passed around and improved. I thought it might be fun (and fascinating) to actually follow this creative exchange all the way through. To take a look at a popular CSS trick, the clearfix, and find out exactly how a web design technique comes to be. The clearfix, for those unaware, is a CSS hack that solves a persistent bug that occurs when two floated elements are stacked next to each other. When elements are aligned this way, the parent container ends up with a height of 0, and it can easily wreck havoc on a layout. 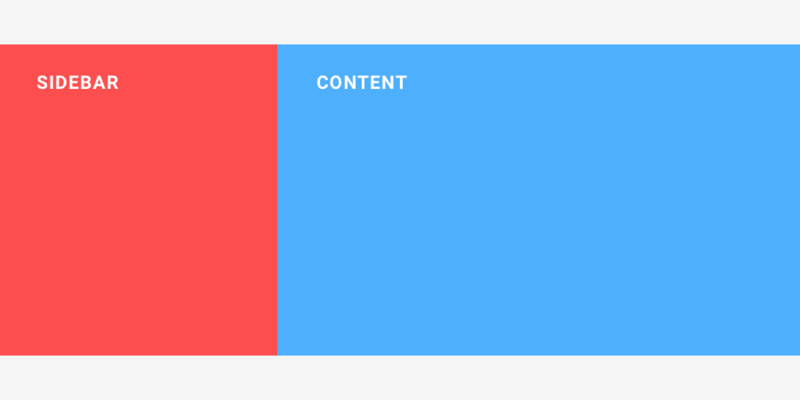 All you might be trying to do is position a sidebar to the left of your main content block, but the result would be two elements that overlap and collapse on each other. To complicate things further, the bug is inconsistent across browsers. The clearfix was invented to solve all that. But to understand the clearfix, you have to go back even further, to the 2004 and a particular technique called the Holly hack. The Holly hack is named for its creator, Holly Begevin, a developer and blogger at CommunityMX. The Holly hack combines two different CSS techniques that worked in the days of Netscape Navigator and Internet Explorer (IE) 4 to solve some layout issues. Begevin noticed that if you apply a height of just 1% to each of the floated elements in the above scenario, the problem would actually fix itself (and only because it activated an entirely different bug) in Internet Explorer for Windows. Odd, I know, but it only gets more complicated. That same year, in May, there were a few more browsers to deal with, and not all of them could be patched with one line of CSS. Tony Aslett posted a new thread to his message board, CSS Creator, proposing a new approach. He called the trick a clearfix because it centered around clearing the floated elements to fix the issue. If you want to pick apart an important slice of web history and innovation, the discussion that followed Aslett’s post about clearfix is a great place to start. One by one, people began to experiment with the new technique, testing it in obscure browsers and devices. When they were done, they’d post their results to the message thread, sometimes alongside a helpful tweak. For example, the user zulaica pointed out that in Mozilla browsers, the bottom border of floated elements had to be explicitly defined. User pepejeria noticed that you could leave out the dot from content, and user co2 tested the clearfix in the very first version of Apple’s Safari browser. Each time, Aslett would update his code a bit until, after more than a few rapid iterations, the clearfix was ready and, thanks to the community, pretty darn bulletproof. But browsers kept on advancing. Some of the more quirky bits of the clearfix code worked because of bugs that were built into older browsers. As browsers patched those bugs, in brand new versions, the clearfix stopped working. When IE 7 came out at the end of 2006, a few adjustments to the technique were needed to make it work. Fortunately, John “Big John” Gallant was maintaining a page on his blog Position is Everything with an up to date version of the clearfix. After getting some feedback from his readers, Gallant updated his blog to reflect a few new fixes for IE 7 using a new kind of conditional comment that would work inside of Internet Explorer. And once again, users took to their own browsers to test out the latest code to ensure it worked everywhere. And once again, for a time, it did. In fact, this iteration of the clearfix would last until about 2010, when the team at the Yahoo! User Interface Library (YUI) noticed a few issues with the clearfix. The Holly Hack, for instance, was now long gone (IE 5 was but a distance memory), and after switching the box model, margins were handled a bit differently by modern browsers. But even when it was published in 2010, clearfix reloaded brought with it some unnecessary baggage from older browsers. The height equals 0 trick wasn’t really a requirement anymore, and in fact, the trick was a lot more reliable when display: table was used instead. People began swapping various variations on the technique on Twitter and on blogs. About a year after the release of clearfix reloaded, developer Nicolas Gallagher compiled these variations into a much more compact version of the hack, which he appropriately labeled the micro clearfix. *  contenteditable attribute is included anywhere else in the document. These days, almost 15 years after it was first proposed, the clearfix is losing a bit of relevance. CSS Grid and Flexbox are filling in the gaps for advanced layout on the web. In January of 2017, Rachel Andrew wrote an article for her blog titled “The end of the clearfix hack?” In it, she describes a way to replace the clearfix hack with a single line of code using a new display mode rule known as flow-root. We are approaching the day when clearfix will no longer be necessary at all. Even without flow-root, there’s lots of ways to make a grid these days. If you were just starting out on the web, there’d be little reason to even learn about it. That’s a good thing! From the beginning it was always meant as a workaround to make the best of what was available. The irony being that without the dedication and experimentation of the developers who hacked away on the clearfix for so many years, we wouldn’t have the tools today to never have to rely on it again. Enjoy learning about web history with stories just like this? Jay Hoffmann has a weekly newsletter called The History of the Web you can sign up for here. The post Clearfix: A Lesson in Web Development Evolution appeared first on CSS-Tricks.